Pin Terminals allow for Compression Crimp of Aluminum Cable, including ACSR, to Copper/Brass Type Clamp Connections. Common Die Aluminum Compression Sleeve allows for minimal number of crimp dies. 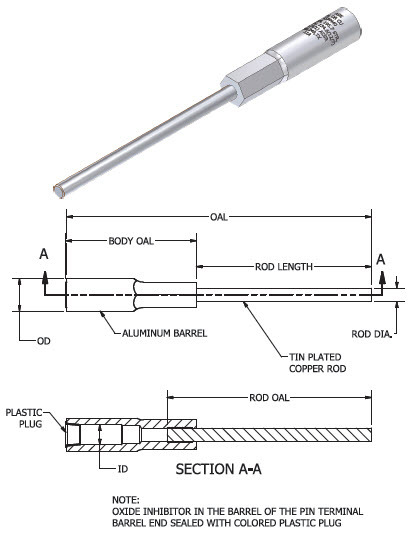 Standard Barrel Pin Terminals allow both compression crimp and clamp application.